My good friend, Mitzy Budiono, the woman behind Itzy Bitzy Patisserie, has given me a batch of February’s featured French-style macarons flavors to sample this past weekend. Yes, she’s the one who I would deem as the Pierre Hermé on this side of the Atlantic or at least New York City. As the container is labeled, this month’s rotation (of six flavors) consists of coffee, chocolate hazelnut, mango, Earl grey, strawberry chocolate (chocolate ganache with strawberry gelée bits within the filling), and Champagne (dark chocolate ganache with concentrated Champagne flavor sans the effervescence). Tafu, eh? Done! On the way…! Danny: YES! Woot! Thanks for the compliment. It’s not just your computer. It’s everyone’s. The Flickr photo posted on the post is fixed unlike the layout itself that is fluid, so by all means try to keep your browser opened to it’s maximum amount. I know these babies [the macarons] are wildly popular because of Serious Eats and a small bit from me. This is so exciting! 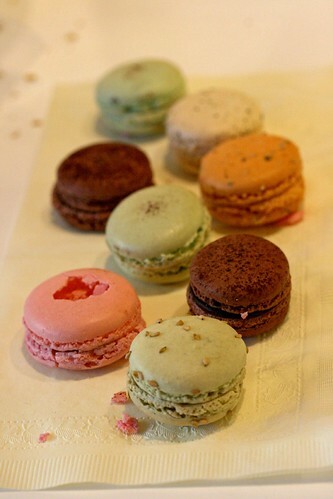 I am such a fan of macarons and have been scouring New York trying to relive the experience at Laduree…to no avail. I’m heading up to 51st and Lex immediately if not sooner. Thank you so much for the shout out Tina! I’m glad that you are still much in love with the macarons :D It was nice to finally eat out together, we should do it again. Mitzy: You’re welcome! Honestly, you keep improving your macarons as I keep eating them. :) And yes! We should eat out again. 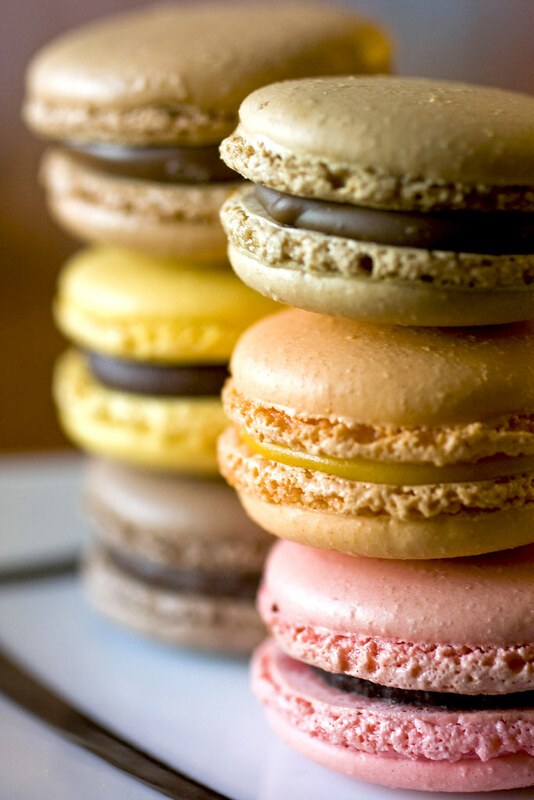 Has anyone had macaroons from Trois Crepes on the Upper East Side? I’ve heard they’re amazing also. I’ve never had a chance to try Tafu Macarons. However if you are ever in Downtown Denver, Colorado, go to Ships Tavern. They have amazing Macarons for dessert or take out – and they are really excellent. So happy that I stumbled onto your blog today. I love it and the pictures you take are mouthwatering. 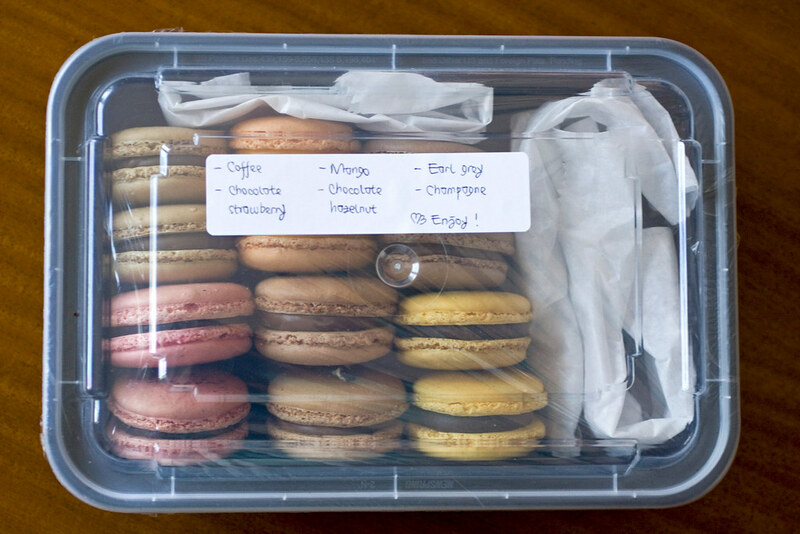 I am so running over to Tafu for some of these macaroons! !